Turn signal There are 7 products. Price for 2 pieces (kit). 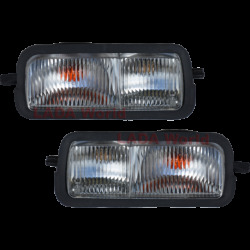 In this section you can buy the Side turn lights for Lada Niva 1600. The full equipment of the car lada with all the necessary light signals is determined by the corresponding points of traffic rules, because it really is a necessary condition for the safe movement of not only the driver of a particular lada car, but all surrounding drivers and pedestrians. As well as the front lights, all kinds of light signals, direction indicators and repeaters are extremely important to feel at the wheel in complete safety, and to provide such security for other participants of the traffic on your part. 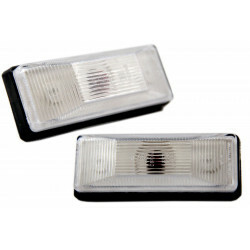 You can easily buy inexpensive LED indicators and repeaters at low prices in the online store, leaving your order for the necessary goods in this category. Depending on the chosen model, the installation of new parts can be realized in various ways. To guarantee the correct installation and connection of such elements, as well as to ensure their correct and maximum possible work, it is recommended to contact the professionals of the specialized center for installation. • Established indexes for specific car lada models. 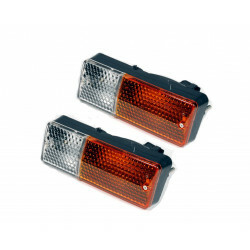 • Universal turn signals for mounting on any model. 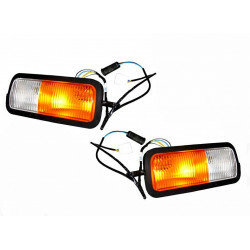 • Additional turn signal repeaters for rear view mirrors and other places. 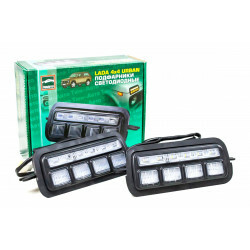 The presented section contains a catalog of original and non-original sets of outdoor pointers and repeaters, among which you can quickly and easily pick up the necessary parts for your lada niva car. 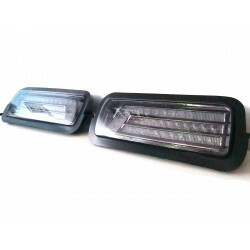 In addition to the highest quality of the offered products, you will also be very pleased with the affordable cost of regular and tuning of tinted indicators and repeaters. 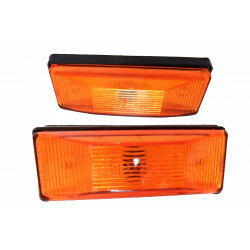 Along with such details, which are also often used for external tuning, for example, the deflectors of the side mirrors, the original tuning indicators can also make the appearance of your favorite lada car absolutely unique. You can achieve an updated look of the car, which will receive new individual features that favorably distinguish it among many other cars in the city stream.